Belenus is the Celtic god of the arts and the name giver of the 2004 founded Belenus Quartet, which plays in its present formation since 2014. The Belenus Quartet performs regularly in Switzerland and Germany, but also tours in many different European countries. It’s repertoire ranges from early Haydn Quartets all the way through to contemporary compositions. The Quartet is renown for its crossover-projects and the interaction with fellow contemporary musicians and composers. The performance of "A Tribute to Billie Holiday" at the famous Jazzfestival in St. Moritz with composer and Saxophonplayer Daniel Schnyder gained enormous resonance. A further musical highlight of the quartet, was the rehearsals and performance of the Schubert Quintet at the Mainz School of music (Musikhochschule Mainz) with the distinguished cellist, Valentin Erben (Alban Berg Quartet). CD recordings of the Belenus Quartet demonstrate their musical brilliance and diversity - among them, recorded pieces from Haydn, Bartok and Schubert, as well as the fourth String Quartet of Daniel Schnyder. Just recently, a recording with Clarinet Quintets of Heinrich Baermann, featuring Rita Karin Meier, principal clarinet of the Opera House Zurich (Philharmonia Zürich), was released under the Label MDG Scene. The Belenus Quartet is currently being coached by Rainer Schmidt (Hagen Quartet) and Claudius Herrmann (Gringolts Quartet). Furthermore the quartet joined master classes with Walter Levin (LaSalle Quartet), Oliver Wille (Kuss Quartet), Natalia Prishepenko (Artemis Quartet), Eberhard Feltz (Music Conservatory Hanns Eisler Berlin) und Valentin Erben (Alban Berg Quartet). From 2008 to 2012, the quartet was instructed by Stephan Goerner. From 2009-2014 the Quartet furthermore completed a Chamber music graduate with Isabel Charisius (Alban Berg Quartett) at the Lucerne School of music (Musikhochschule Luzern). At the 9th International "Franz Schubert and Modern Music 2015" Competition the quartet was awarded 1st Prize, as well as the Audience Award. 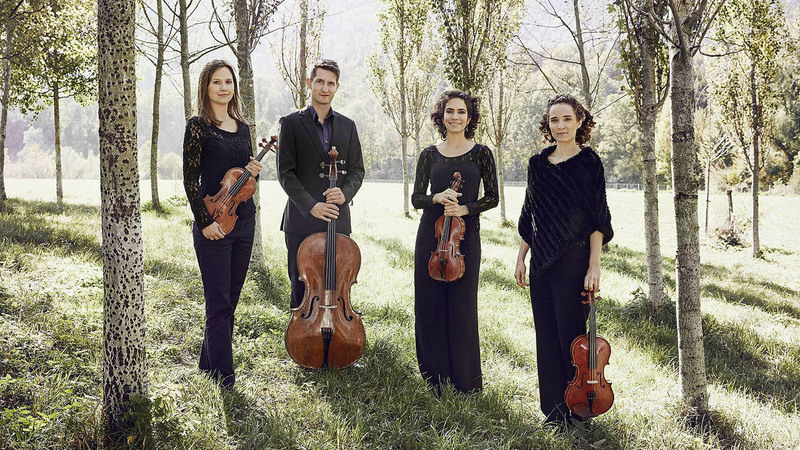 As finalists of the chamber music competition of the "Migros Kulturprozent 2013", the quartet was included in the Concert Management of the "Migros Kulturprozent". Furthermore, the quartet won 1st Prize at the "Interpretation Competition for Contemporary Music 2012" at the Zurich University of the Arts (ZHdK), as well as at the "Kiwanis Competition 2012". At the "Hans Schaeuble Competition 2012" they were awarded 3rd Prize. In the years 2011/12/13, they won the "ORPHEUS Swiss Chamber Music Competition" Prize. At the "1st International Competition for String Quartet Sandor Vegh 2012" the quartet received a special award for the Best Haydn Interpretation.